MCALESTER, OK—Shortly before administering a lethal injection to a prisoner sentenced to death by the state, Oklahoma Department of Corrections executioner Michael Callahan reportedly entered the death chamber Friday at Oklahoma State Penitentiary carrying a large plastic bag full of purchases from a nearby Home Depot. 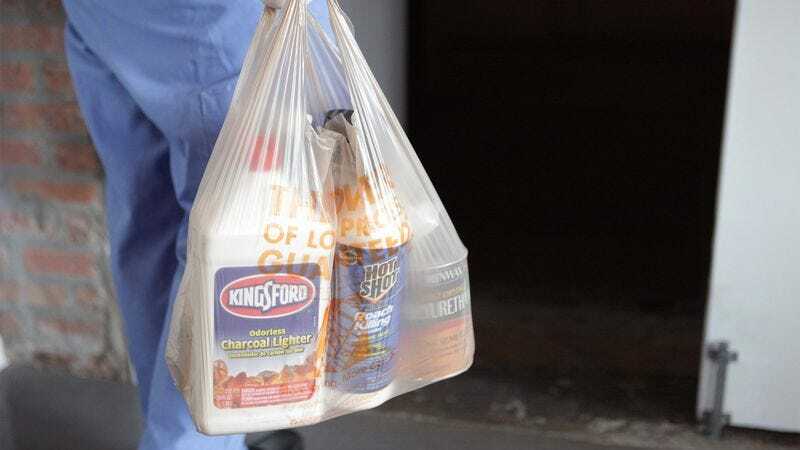 “I typically run out to the store an hour or so ahead of time and grab some of the stuff we need,” Callahan told reporters, referring to the jugs and canisters of hazardous chemicals acquired from the home improvement retailer, which included antifreeze, rat poison, and the weed killer Roundup. “This’ll be the first time I’m going with drain cleaner instead of bleach, so I’m really curious about how the guy’s going to react. I’ll kind of mix this stuff together and fill up a syringe with it and we’ll be good to go. I think 50 CC’s seems about right.” Callahan added that in the event the toxic concoction failed to kill the prisoner, he could always make a second trip to Home Depot and be back at the execution chamber in half an hour.